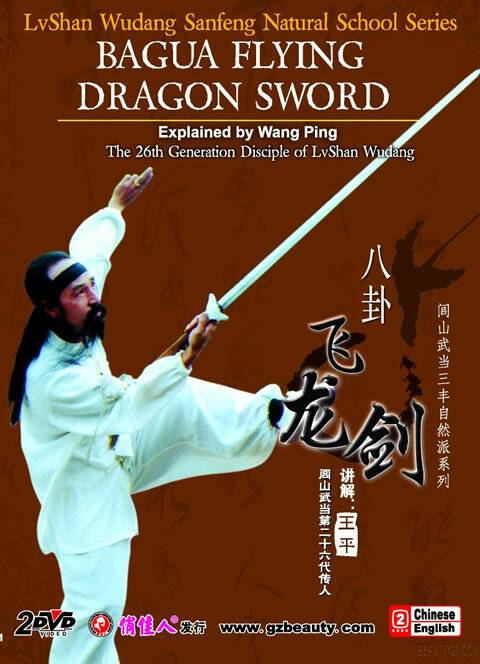 Wudang Bagua Flying Dragon Sword features stepping and changing, and its swiftness and flexibility, with softness combining with hardness while Yin combining with Yang; the martial arts show the spirit of Daoism, which develops its essence. The movement of these sword techniques performs its combination of gentleness and stretch, steadiness and flexibility. The unification of arts, body-building and techniques is very precious. This product was added to our catalog on Thursday, August 28, 2014.